Winter gardening is growing food with some protection in the winter even under snow and temperatures down to zero. It is very cool and I am all for it. However, we live in an area where it is IMPOSSIBLE to grow a traditional winter garden outdoors :(. -40 degrees is just too cold. Too many growers more South do not realize that. It’s hard for them to wrap their heads around temperatures that cold. But we up north know there is a limit to our garden. We can use all the winter gardening advice and grow food till our temperature drops to zero Fahrenheit. Practically it is a fall garden. Right now there is lots still growing in our fall garden: carrots, beets, at least 3 varieties of kale, arugula, swiss chard, broccoli, herbs, kohlrabi, and bok choy. I also had a juicy big strawberry just the other day, yummy. All of this can be over soon, as soon as the first real blizzard hits us. After that, winter is here. Temperatures here can get down to zero and below as early as October and as late as April. What to do? Should we stop growing altogether? For 6 long months? Not me! 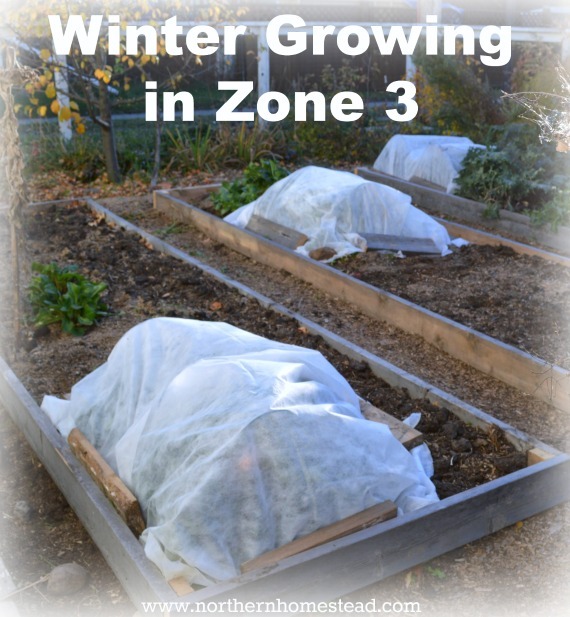 Winter growing in Zone 3 and under is different than it is in warmer zones, but we still can have fresh grown food even in the winter. Even though nothing grows here in the winter, with some serious but simple protection we can still harvest fresh garden goodies. Carrots, beets, rutabagas, parsnips, and turnips can be left in the ground covered with straw bales. Make sure to cover not just the row, but some ground all around. 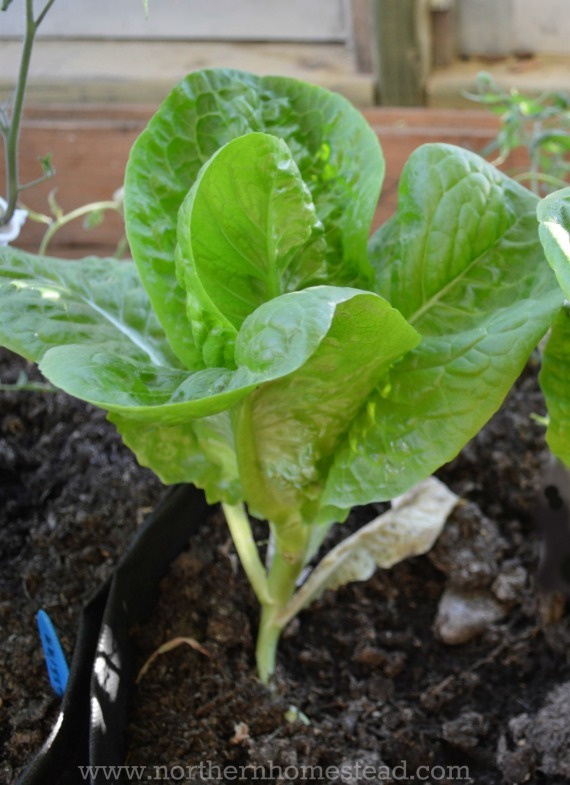 There will be fresh and yummy vegetables waiting for you in the winter. 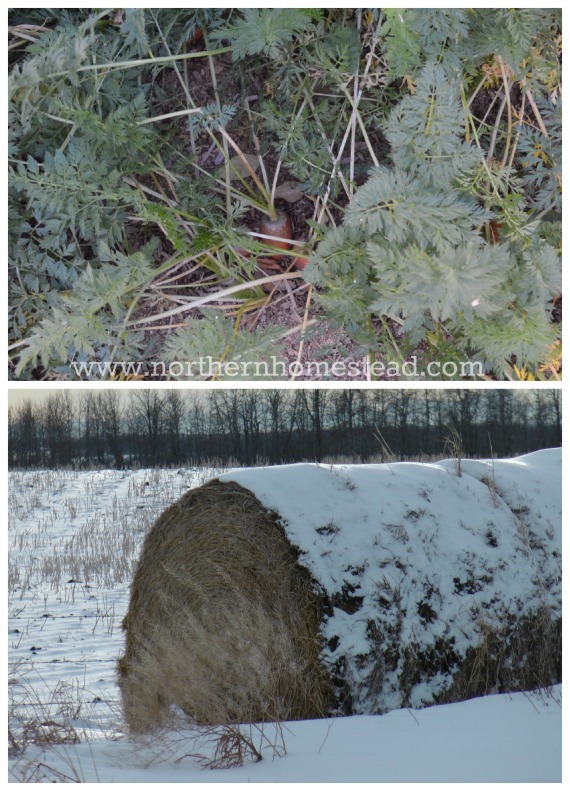 Whenever you need some, lift the straw bales (and the snow) and then you can harvest your vegetables. A local farmer who does this successfully uses the big round bales. It might be a bit of an overkill, but it works. For us in town we just use small straw bales, or even bags filled with straw. Depending on the year, the more snow, the better it will work. However, without a good additional cover of snow I will make sure to harvest the carrots before -40 hits us. Indoor container gardening will greatly depend on the space you have. Most likely you already have a space, but just never thought of it as being a growing space. Start with what you have and work toward finding more ways. Winter indoor growing is so much fun and rewarding, too. The easiest way to grow indoors is growing hydroponics – water instead of soil. Herbs, salads and even tomatoes can all be grown this way. Check out the Aeroponic Tower Garden, up to 28 containers in less than six square feet – container gardening plus! Maybe you can dedicate a sunny window or build a grow light for winter growing. A heated sun room, or greenhouse are also great for winter container gardening. Here are some things that can be grown in an indoor container garden. Sprouts can be grown right on your kitchen counter. To start you can just use a jar with a screen made out of some kind of netting and a rubberband. You might think sprouts are not worth it. Think again. Sprouts’ nutrition are often higher than the plant they would become. For example: 1 cup radish sprouts contains 11 mg vitamin C and 16 kcal energy. A cup of radishes contains 8.6 mg vitamin C and 9 kcal energy (Source USDA). Plus, to grow a cup of fresh radishes in the winter you would need soil, sunshine, and space. Sprouts thrive wherever on just some water. By the way, radish sprouts are supper yummy, one of my favourites! 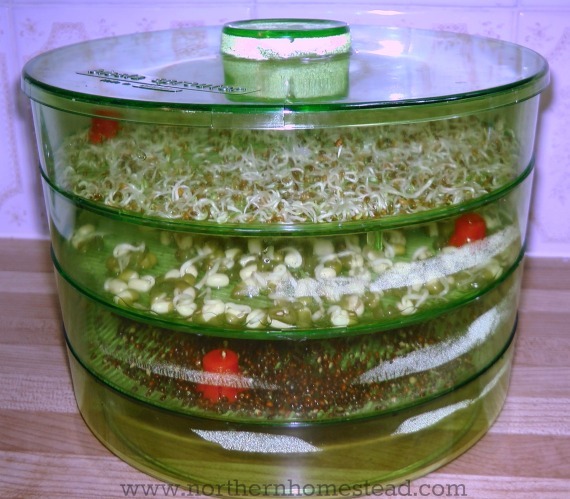 We use the Biosta Sprouter with 3 levels it works great with a bit bigger seeds. Alfalfa seeds I find are too small for the sprouter, but can be easily sprouted in a jar. A great source for seeds is Mumm’s. And finally a great read to learn more is Sprouts: The Miracle Food: The Complete Guide to Sprouting . Micro greens are sprouts that have grown to little plants. They too do not require much space or light. Like sprouts, they are very nutritious and yummy. 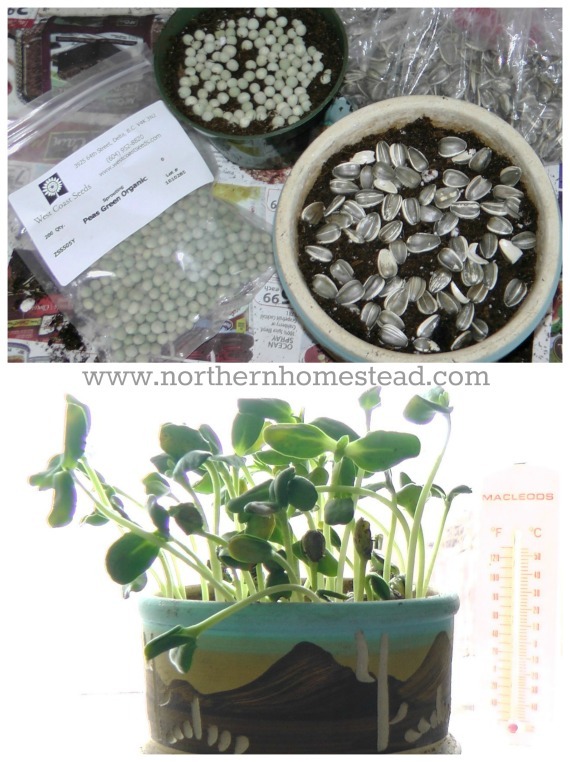 You can go big or keep it small with just some sunflower sprouts. By the way, if grown in an ornamental pot they also look good, too. However, for more serious microgreens and salad blends, growing Plastic Growing Trays for Microgreens & More are a good choice. Learn more Microgreen Garden: Indoor Grower’s Guide to Gourmet Greens . 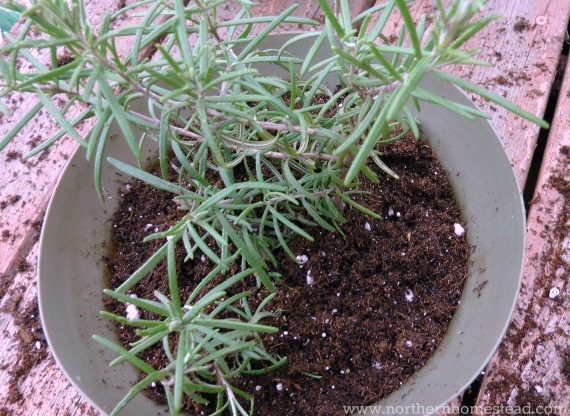 Not all herbs are easy to grow in a pot. I have grown rosemary, cilantro, basil, parsley, and thyme. I am sure this list is not exhaustive. Try what you like, and it just might be a great herb to grow indoors. 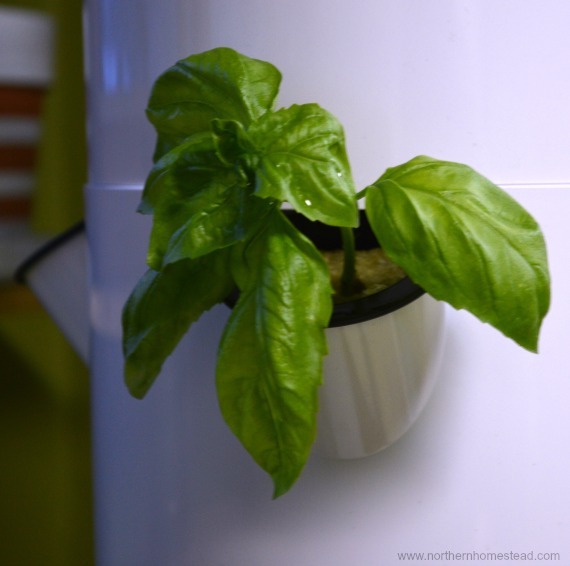 See how to grow and use basil in the winter. Herbs look great on a kitchen window and also smell good too. Learn more: 15 Easy Tips to Start an Indoor Garden for Herbs and Vegetables . 4. Tomatoes, peppers, and co.
Go big or go home, eh? 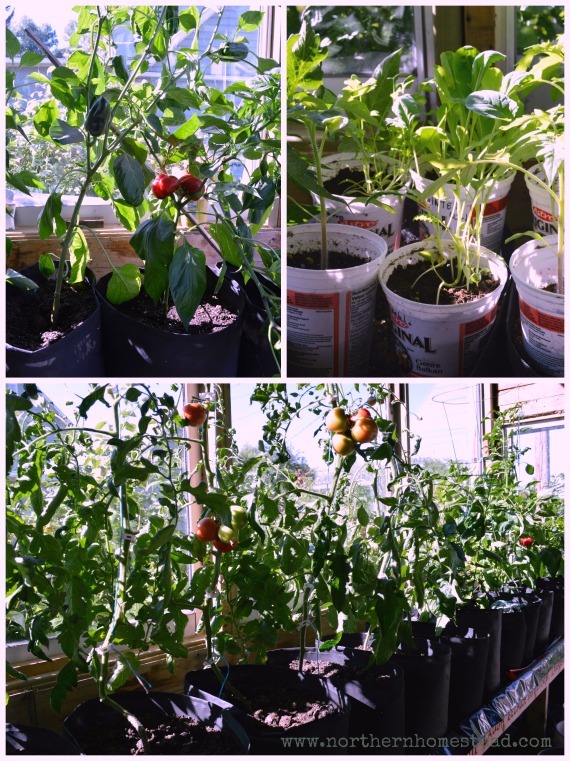 Yes, you can grow tomatoes, peppers, etc. indoors. 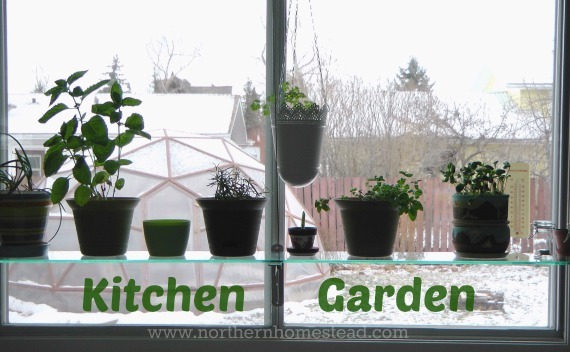 A nice sunny kitchen window could already host one plant. However, since we are so far north, there might not be enough sun hours to rely only on windows. Most likely a grow light will be needed. Remember the easiest way to grow indoors is growing hydroponics – water instead of soil. As you see there is lots that can be grown indoors even in the depths of winter. For more ideas and tips check this one out: Indoor Kitchen Gardening: Turn Your Home Into a Year-round Vegetable Garden – Microgreens – Sprouts – Herbs – Mushrooms – Tomatoes, Peppers & More . I’ve never seen a sprouter before, and I love sprouts, especially mixed in with salad greens. Those carrots look so pretty peeking out of the ground. 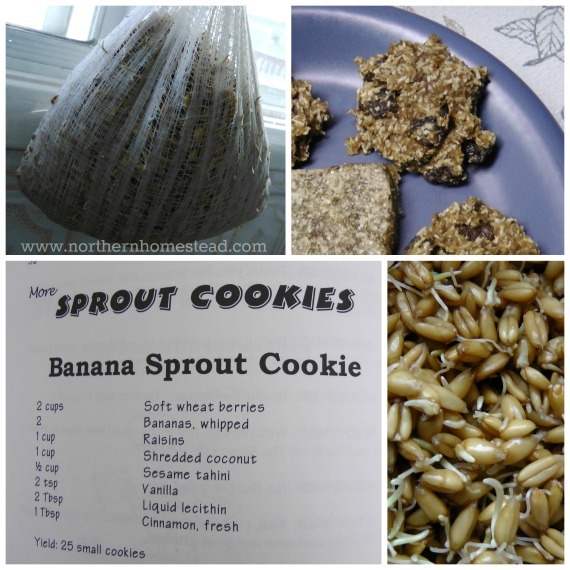 Oh Alli, sprouting is so simple and I am sure you would love it. I found your a short time ago and really enjoy it. A lot of the information you provide is very valid here in Northern Black Hills of SD. Thank you! Thank you for your kind words. Glad you like it and find it helpful. Although I had never considered it, I see no reason why we couldn’t grow some herbs in a sunny window. When you start getting into using a grow light, I think it exceeds our skill level. I’m sure you are looking forward to your new greenhouse being ready! Is that snow I see? Yes we do have snow, just a bit, but more to come. The picture however is from a previous winter. In your growing zone you probably could have some herbs all winter even outdoors. Love your site. I’m in northern Ontario and do much of the same, as well as grow my lettuce hydroponically now, love it! Thanks for your continued inspiration. Thank you for your kind words! We have not yet grown hydroponic. We are thinking to start aquaponic soon though. So many possibilities! Nice to see another Albertan! Walmart sells these thick white winter blankets (under $20.00 and free ship! ), which are really just long strips of horticultural fabric.. Cut one in half, and sew the two pieces together down the middle with dental floss so that it is twice as wide. Do it again with another strip of fabric. Then sew the two together, to make a duvet, and stuff full with fall leaves (leaves are free, no weed seeds, make an excellent soil amendment afterwards and are abundant around here). You can seal the open end of your duvet with safety pins or even just using a running stitch using dental floss. Plonk on top of you veggie garden (asparagus, blue de solaise leek, siberian hardneck garlic, chives, strawberries and so on). In the spring, you just remove the duvet and you’re done! Welcome Christa! Yes I,m always happy to see Albertans. A great tip for someone who likes an clean garden, thank you! Looking forward to spring when it all resumes growth! Sorry to post again, just wanted to let everyone know that Scorzonera is hardy to our zone too (should be protected). In our climate, it needs two seasons to reach maturity. Another useful perennial veggie, and a highly prized and delicious one at that! The leaves are edible, as is of course the delectable root. I’ve got a patch of salad burnet growing very well, and expect it to survive without any protection at all. Italian parsley will overwinter given protection. And lovage, and egyptian walking onions. I do not think I have ever seen Scorzonera here. Thank you for letting everybody know. This is great. About the only thing I can grow right now are in pots on my windowsill! Really hope it warms up soon. Yes, i am more and more into indoor gardening too. Winter are just so long. Glad we can grow in the house and greenhouse too.